She has already undergone dialysis 3 times a week. 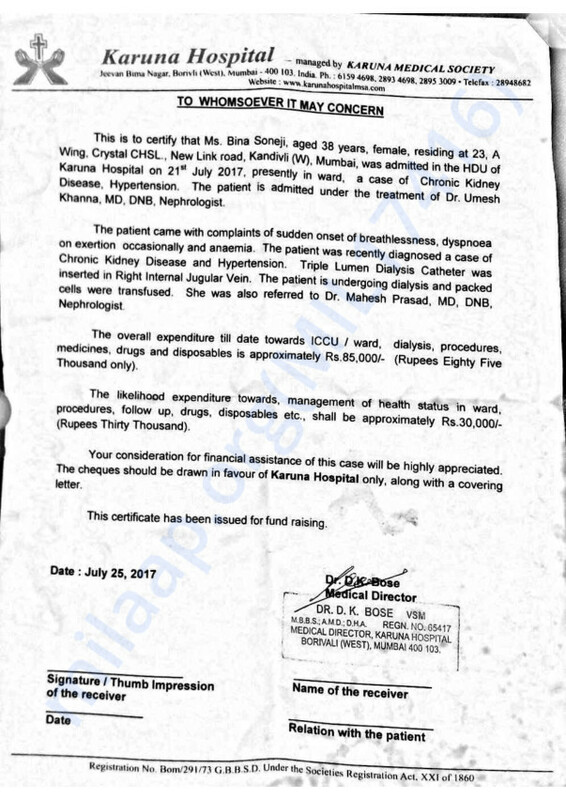 Kindly consider letter from Karuna Hospital and assist in raising funds for her for Rs 85000/- for hospitalization and Rs 30000/- for pharmacy at hospital. Thanks for all help and support so far, she has managed well so far, she has been admitted to KHM once again as she got breathless for which cost is approx Rs 20,000/-. She is also suffering from TB for which she is taking medicines, she needs 2 blood injections in the week to increase her Haemoglobin and iron injections, weekly cost is for this is approx Rs 300 /- per injection. Do share this campaign further with your friends and family and help us in raising funds for her treatment. Thank you for the support. Will keep you posted. 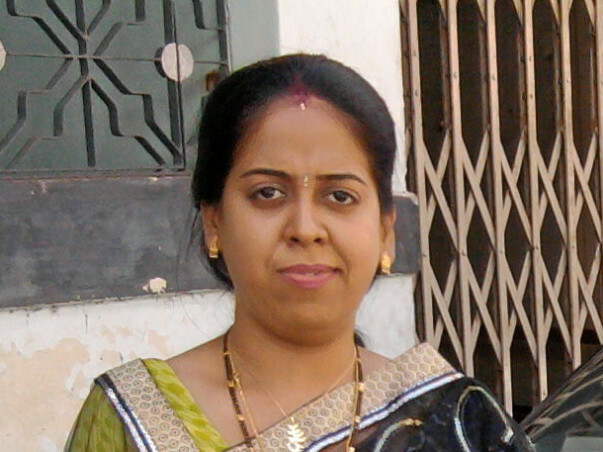 She has been re hospitalised at KHM Kandivli West underDr. 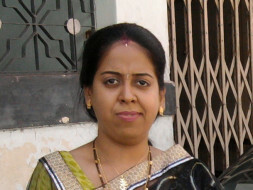 Umesh Khanna as she had constant fever, it seems there is water accumulation in lungs which is being removed by Doctor. Creatinine 6.6 and haemoglobin is 7.3.Doctor has now suggested 3 times dialsys in week from earliee 2 times. Get well son. May God bless you! it isnt much but that's all i have.